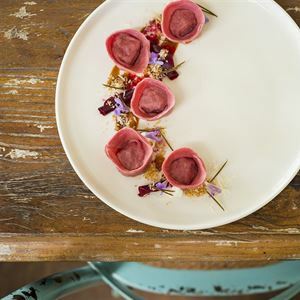 Nestled in Yallingup’s secluded bushland overlooking the Indian Ocean and Cape Clairault National Park, Arimia Restaurant and Winery offers a complete taste of the gourmet goods Margaret River has to offer. 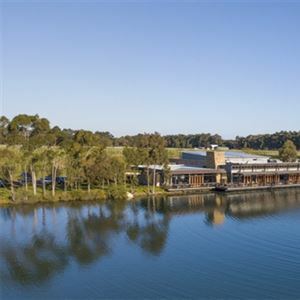 Ideally positioned to enjoy scenic views and a serene ambiance, this boutique venue invites you to wander the grounds, tasting award-winning, estate grown wines and olive oils at the cellar door. 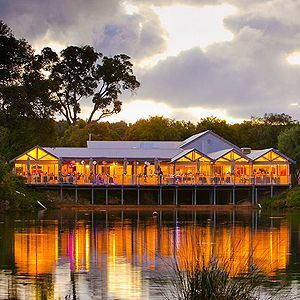 Take a seat inside warm, rustic surrounds or linger on the deck as you browse a menu of Mod Oz cuisine, with a focus on local produce and sustainably farmed protein like the smoked rainbow trout and corn croquettes, designed to match Arimia’s home grown wine selection. Offering accommodation for up to 8 people, why not stay a weekend to enjoy a tasting menu and continental breakfast.